Indian Association for the Blind (IAB) is a non-profit organisation started in 1985 by visually challenged activist, Late.Mr.S.M.A.Jinnah.We provide education,food and accommodation facilities to the visually challenged from rural areas. Every year, around 135 children will be benefited. Four lakh blind children out of the fourteen lakh are from India, out of which only 5 percentage of them receive the right to education. 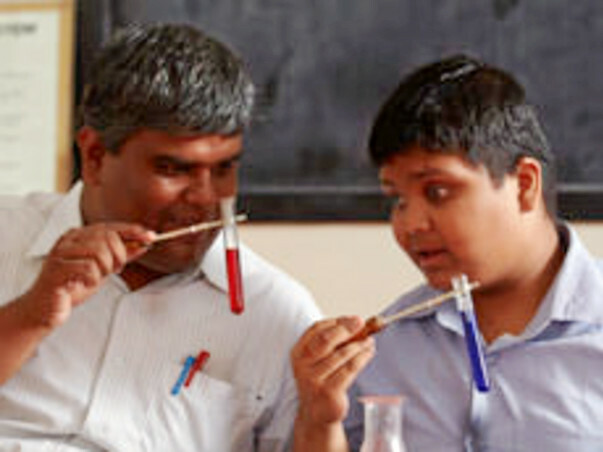 IAB aims to make visually challenged lead lives of dignity and self-reliance. The visually challenged children in rural areas are being deprived of education, food and proper living conditions because of their economic status and lack of affordability by their families. Their parents are unable to fund for their needs due to poverty. Also, the standard of education, living and food in their villages is very poor. The surroundings and the environment in which they live, is not suitable for them to lead a good life. This project will help solve the problems of lack of access to education, proper living conditions and healthy food. The donation that they receive through this will help in funding these expenses for a month. By sponsoring to this cause, a child's dreams will be taken care of. This will help in providing a conducive environment for learning, living and for leading a healthy by eating a balanced diet. The fund will be used for the education of the visually challenged kid who are from rural background. Their parents are daily wagers who cannot afford the education of their kid. Our work would not be possible without the generous support of people like you. Our website www.theiab.org will help you in gaining more insights about the services offered by us. We invite you to visit IAB. Please refer us to your friends and relatives who are willing to join hands for the cause.